Pelican's second full length album The Fire In Our Throats Will Beckon The Thaw , is finally back in press on 180 gram double LP. 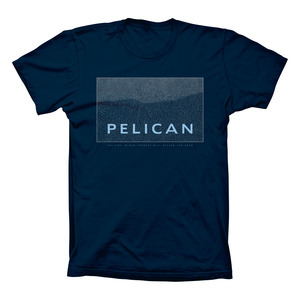 With their 2005 epic, Pelican brought on new levels of complexity to their already distinctive auditory stamp. Acoustic guitars take their place beside the group's traditional power-droning and awe-inspiring instrumental anthems. Whether this signaled the end of the underground musical landscape as we knew it, or the beginning of a new one is anyone's guess. Luckily, it rules either way. - Vinyl is housed in a Stoughton old-school style heavyweight gatefold jacket printed on reflective metallic stock. Available on 180 gram black, orange, black/blue splatter, and white/blue splatter vinyl. Each disc has full color labels and a heavyweight full color inner-sleeve. 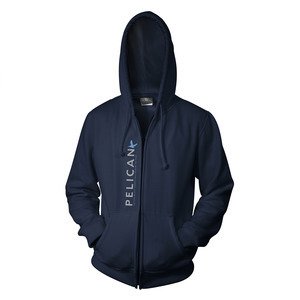 Also available as part of the pre-order are a limited edition hoodie and t-shirt that revive classic Pelican designs in new color-ways. Pre-Order now in the new Hydra Head Shop!